A groundbreaking report presented today at ESMO conveyed data from an interim analysis of a phase 2b trial demonstrating that the combination of NPS + trastuzumab is safe and may provide clinically meaningful benefit to women with HER2 low-expressing breast cancer, with a particularly marked benefit in the subgroup with triple-negative breast cancer. Fatigue and neuropathy were found to be common in patients treated with olaparib, and should be identified and managed early. 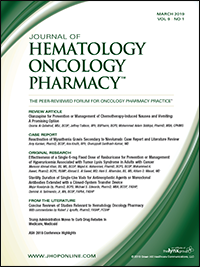 The antibody-drug conjugate mirvetuximab soravtansine combined with pembrolizumab has a manageable safety profile and encouraging signals of clinical activity. Although the combination of 2 antivascular agents showed preliminary efficacy, increased cardiac toxicity has resulted in premature discontinuation of the trial. In a prospective trial, the VEGFR-2 small-molecule inhibitor apatinib has shown promising efficacy and safety signals. Based on the tolerable safety profile established in phase 1b of the ORION-01 trial, the recommended dose for expansion/recommended phase 2 dose of the oregovomab/nivolumab combination immunotherapy has been established. Results from the phase 3 SOLO1 trial demonstrate a substantial, unprecedented improvement in progression-free survival for olaparib versus placebo. This combination of antiangiogenic and immune checkpoint blockade has clinical activity in women with recurrent ovarian cancer. Results from the KEYNOTE-100 study show that expression of PD-L1 and inflamed T-cell–associated genes are associated with clinical response in advanced, recurrent ovarian cancer.